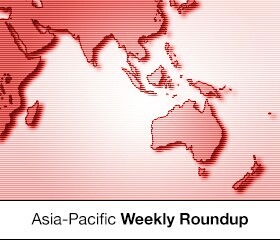 In this weekly segment, ExchangeWire sums up the key industry updates in ad tech from around the region – and in this week’s edition: More APAC brands turning to audience data; Roy Morgan, AdNear offers mobile consumer analytics in ANZ; GroupM launches sports, entertainment agency; and Lotame hires head of APAC platform solutions. Advertisers in the Asia-Pacific region were spending more on audience data, with marketers in the finance and electronics & computers sectors leading the way in the business-to-business (B2B) data segment. According to the Eyeota Index, which tracks audience expenditure, spend in the sports sector saw the biggest spike in the region, growing by 28.3 times in Q4 2014, over the previous quarter. The steep climb was largely fuelled by major sporting events, such as football, the audience data provider said in a statement Thursday. Released for the first time this week, the index is based on programmatically transacted data and tracks campaigns executed by “hundreds of agencies” across 60 countries. Advertisers were grouped into their relevant sectors and their brand names remained anonymous. The index indicated that Asia-Pacific data spend in Q4 grew 8.5 times among advertisers in electronics & computers, which was the second-fastest growing vertical. Data audience spend grew by 8.1 times among advertisers in food and beverage (F&B), while home & garden increased 7.5 times, and FMCG grew 5.9 times. Growth in third-placed F&B was unique to the Asia-Pacific, according to Eyeota, which noted that this climb potentially reflected seasonal buying behaviour among advertisers looking to run year-end dining promotions. It added that Asia-Pacific finance marketers that spent on B2B audience data invested heavily in sociodemographic data. Advertisers from finance and electronics & computers sectors in Southeast Asia were interested mainly in B2B data and interest segments. Noting that this region was still in an early growth stage, Eyeota CEO Kevin Tan said: “Southeast Asia is a promising market as more advertisers and buyers become more savvy in utilising audience data for accurate targeting. “We observed growth in the region increasing more than sixfold in Q4, compared to Q3,” Tan said. Worldwide, the Eyeota Index indicated that overall spend in audience data grew 77% in the quarter. It pointed to the automotive sector as the biggest spender of audience data, particularly in luxury vehicle brands, where advertisers were willing to pay a higher price to reach potential buyers. The two companies have partnered to enable Roy Morgan Research’s Helix Personas to be deployed on AdNear’s database of 11 million mobile device profiles across Australia and New Zealand. The alliance will allow marketers to choose a ‘Persona’ that they then can use to target selected consumers at specific times and locations. Helix Personas is touted as a consumer segmentation and data integration tool that uses psychographic, media consumption, and behavioural analysis to identify 56 consumer personas across seven communities. AdNear has integrated its mobile device inventory with Helix Personas at the unique user level, according to the two partners. Roy Morgan Research CEO Michele Levine said: “For the first time, it will be possible to advertise directly to a Smart Money, New School Cool, Looking Good, or any other specific Helix Persona via their mobile device. “This latest strategic partnership adds an entirely new dimension to mobile marketing and consumer insights in Australia and New Zealand, expanding the boundaries for our clients of what’s possible in today’s media-buying landscape,” Levine said. AdNear Founder and CEO Anil Mathews added that the integration of Helix Personas with his company’s 11 million device profiles would provide a differentiated mobile data-driven marketing offering in the Australian market. The media investment company has announced plans to launch a new global agency brand, ESP, that comprises two businesses, called ESP Properties and ESP Brands. The move is an expansion of its sports and entertainment offering, with the two new businesses operating independently from GroupM’s media-buying unit, the company said. To be launched with 150 staff in Singapore, London, New York, and Chicago, ESP Properties will also be supported by teams from GroupM agencies in other markets including Dubai and Los Angeles. It will serve rights-holders in the sports and entertainment sectors such as leagues, events, and publishers, offering services in data, digital, and content development. Its Asia-Pacific team will be led by Toh Jin Wei. The DMP has appointed Evgeny Popov as the new head of its platform solutions in Asia-Pacific, where he will drive Lotame’s expansion in the region. Based in Sydney, Popov also will be the company’s senior technical resource for the region, providing consulting and technical services to its advertiser and publisher clients, Lotame said in a statement. The new Asia-Pacific director of platform solutions has nearly a decade’s worth of experience in programmatic and ad tech, and had assumed roles in programmatic ad-buying platform RadiumOne, where he recently was Asia-Pacific operations director, as well as News Corporation in Australia where he was ran the publisher’s programmatic trading operations. “Brands and publishers are increasingly understanding that by deploying a DMP, they can secure tremendous value from properly unlocking the value of audience data. Evgeny’s deep technical knowledge will assist Lotame in delivering on their objectives,” Ward said.